Mobile Workforce Management Systems: PenguinData Workforce Management, Inc.
A SCALABLE SOLUTION: Easy to use, web-based, and modular so that you can pick what fits your business best. FULLY SUPPORTED: When you partner with PenguinData, our staff becomes your staff, providing ongoing technical support and training. SAFE & SECURE: Our data center is networked for maximum reliability, keeping your data safe and preventing downtime. PROVEN: PenguinData works, but don’t just take our word for it. See who is using PenguinData and hear what they have to say. BUILT BY INSIDERS: We address your unique challenges because we have faced those same challenges. Congratuations to Michael Enters, our Chief Operating Officer, for being featured on the cover of the CIO Review in December 2018. 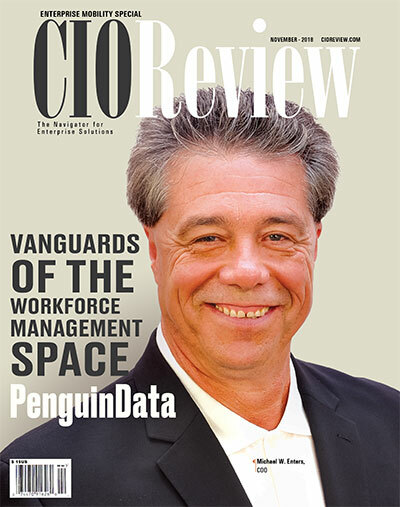 Read more about "Vanguards of the Workforce Management Space."